When kicking back to Bend it Like Beckham, it became apparent that more was on the agenda for today’s tutorial then casually playing out the end of session. We were looking at the concept of diaspora represented in film. Diaspora is the result of worldwide migration and consists of fragmented transnational communities that are located in multiple countries around the globe. Such movements of people have lead to increased diversity, rising multicultural societies and have made cross-cultural interaction inevitable (Chacko 2010). Members of the diaspora remain connected though culture, ethnicity, religion or language. In the media, diasporic communities are often misrepresented or unheard of due to lack of involvement in content production (Georgiou 2003). However, we are beginning to see popular culture incorporating disasporic communities into television and film around the globe, benefiting both minority and majority groups. 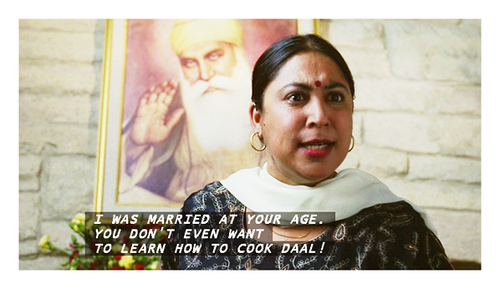 The film Bend it Like Beckham engages with the South Asian diaspora in Britain. The protagonist of the film Jessminda, or Jess, is the youngest daughter of an Indian family living in Britain. She has a love, talent and drive for playing footbal, with high hopes of making a career out of it, which appalls her family as she rebels against their traditional cultural values. Throughout the film, Jess is living the life and struggles of any regular teenage girl in Britain, dealing with issues like dating and escaping parental control. Additionally, preconceived assumptions and expectations about Jess’ culture become evident, as the audience begins to see the baggage that comes along with being part of a minority group within Britain. Representing the diasporic community in the film helps to explore both the light and dark sides of diaspora (Chacko 2010). This inclusion of the Indian diaspora is beneficial to the multicultural society in Britain. On one hand, it creates a sense of belonging for hybrid communities, including them in discussion within the public sphere. On the other hand, it provides majority groups with an insight into the ethnic minorities within the country, with the intent on breaking down existing stereotypes and barriers for engagement. Chacko, M 2010, ‘Bend it Like Beckham: Dribbling the Self Through a Cross-Cultural Space’, Multicultural Perspectives, vol.12, no.2, pp.81-86. Georgiou, M 2003, ‘Mapping Diasporic Media across the EU: Addressing Cultural Exclusion’, Key Deliverable: The European Media and Technology in Everyday Life Network, 2000-2003, viewed 20 May 2014. A bit of lighthearted entertainment to brighten a long shift in an underground mine in Western Australia saw the 15 men featured in this Harlem Shake video fired by Barminco, their employer. Barminco considered the stunt a safety violation, and the men lost their six-figure salaries accordingly (Clarke 2013). The case definitely wasn’t the first Internet fad that resulted in the axing of employees, and it wont be the last. 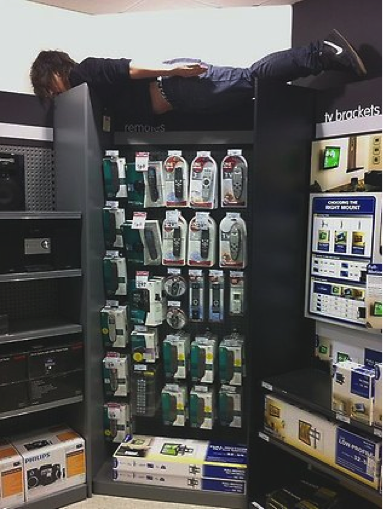 Can you recall the planking phenomenon? This guy was fired from Woolworths and many other perpetrators were on the road to joblessness after their employers caught wind of their planking behaviour on social media. And as for these guys? Yep, also sacked. 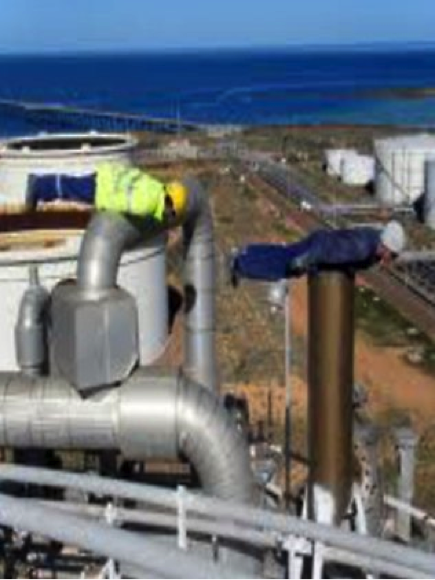 Undoubtedly, balancing on story-high smoke stacks raises concerns for safety and is obvious grounds for dismissal, but what about when things are much less sinister? With tough workplace social media policies on the increase, a simple rant on Facebook about your place of work, or even voicing a broad opinion about the company itself, could see you packing up your desk and queuing up at the Centrelink office the following week. Most large companies now have social media policies in place to ensure that their workers aren’t misbehaving online and causing damage to the company and it’s reputation. Fair enough, I say. But when do these policies go to far? The Commonwealth Bank implemented a new social media policy in 2011, with terms so strict that breaches of its rules were inevitable. According to Finance Sector Union official Wendy Streets, conversation online about the colour of the teacups in the banks’ offices would actually constitute a breach of the policy as it was worded, and could be cause for employment termination (Hannan 2011). The policy also threatened employees with disciplinary action if they did not report any criticism they read about the company on social media channels. A little far fetched, perhaps? As with workplace policies, social media policies have dual roles. Firstly, they provide guidance to employees so that their social media use doesn’t get them into trouble, and secondly, they provide a firm basis for employer disciplinary action. However, when social media policies are inhibiting freedom of expression, such as in the Commonwealth case, perhaps the companies need to head back to the policy drawing board, or even take a leaf or two out of CISCO’s well-executed social media policy. Think before you type employees… You’re being watched. Hannan, E 2011, ‘Bank’s Facebook sacking threat’, The Australian, 5 February. Let Us Enjoy Our ‘Reverse Racist’ Comedy! In this day and age, racism is one thing that many can agree is an unacceptable facet of society. It’s something that doesn’t belong in our streets, in our homes, and definitely not on our television screens. But what happens when a little light-hearted comedy becomes the fire of a racism debate? Where do we draw the line between what is racist and what is a stroke of comic genius? Here in the land down under, we seem to have a vaguely different idea to other nations around the world of what actually constitutes as racism. Back in 2009, this disparity became quite apparent. Many of us would remember “that skit” on the popular primetime television show Hey Hey It’s Saturday that left American guest host, Harry Connick Jnr, absolutely mortified. A group of esteemed surgeons took to the stage to perform a tribute to the Jackson 5, with their faces painted black, and one painted white. Hey Hey It’s Saturday’s production team approved the skit before it aired, clearly being unaware of the impact of ‘blackface’ humour and underestimating the uproar that would occur in Australia and around the world. ‘Blackface’ humour, in which a white person paints their face black and pretends to be black, holds very negative connotations around the globe, especially in America (Mahony 2009). This dates back to as early as the 19th century, when theatre performers would dress like black people, by blackening their faces with shoe polish, exaggerating the size of their lips, wearing torn clothes and depicting themselves as thieves, baffoons, pathological liars and devils (Mahony 2009). It begins to become apparent why the Jackson 5 performance caused such an outcry. However, this wasn’t the performers’ intention at all. Comedy was. They were simply ‘dressing up’ to fit their character’s role. ‘Black face’ wasn’t the first time the issue of ‘racism’ as a form of comedy has been a cause for concern and moral panic, and it certainly wont be the last. Late last year, Australia was divided over the SBS series Legally Brown, a show that features Muslim comedian Nazeem Hussain. He plays on the typical stereotypes associated with his minority culture in order to confront Australian audiences (Aly 2013). Many have accused the show of racism and ‘reverse racism’, due to Hussain poking fun at whites, when it is politically incorrect for whites to poke fun at them. Well, haters, you have it all wrong. For actual racism to occur, there needs to exist a power dynamic in order for it to work. Since people of colour hold little sway in defining the terms of white existence, it’s clear that racial jokes and slurs directed at whites are no more than that: jokes and slurs. They carry little weight, because there is no actual power behind them (Cheney-Rice 2014). It’s not racism, or even reverse racism for that matter. It’s comedy, Australia. Let us enjoy it. Aly, W 2013, ‘Legally brown: Muslim comedian finds the funny in radical, be it jihadists or bogans’, The Sydney Morning Herald, 24 September, viewed 7 May 2014. Cheney-Rice, Z 2014, ‘This Comedian Brilliantly Destroys the Myth of “Reverse Racism” in Less Than 3 Minutes’, PolicyMic, 14 February, viewed 7 May 2014. Mahoney, M 2009, ‘What’s all the fuss about ‘blackface’’, Crikey, 8 October, viewed 7 May 2014. The role of social media in the Arab Spring has been surrounded by amassed conversation over recent years. Is social media the backbone to the political uprising in the Middle East? Does the power lie in the brave activists themselves? Or perhaps social media isn’t where the revolt clearly begins, or ends? The majority of arguments surround similar cyber-utopian, cyber-realist, and conspiratorial views. According to Morosov (2012), many accounts of the Arab Spring and the Internet’s contribution share a common theme – ‘Tweets were sent. Dictators were toppled. Internet = Democracy.’ Gracing these events as Twitter and Facebook “revolutions” just might not be the appropriate term, in fact, Wolfsfeld, Segev and Sheafer (2013) suggest that it is unlikely that social media played a major role in these times at all. They believe that the significant increase in the use of social media is much more likely to follow protest than to lead the protest itself. However, I’m not sure if I entirely agree. There are many examples where social media is seen to give voice to the voiceless and coordinate movements which otherwise would not have developed into such fundamental proceedings. Sure, Facebook and Twitter alone do not have the ability to topple governments, but brave people with access to others do. Newsom and Legel’s article takes on a similar cyber-utopian approach, recognising online activism as empowering marginalised voices, providing opportunity for cross-boundary dialogue, and offering a drive for social change (Newsom & Lengel 2012, p.33). 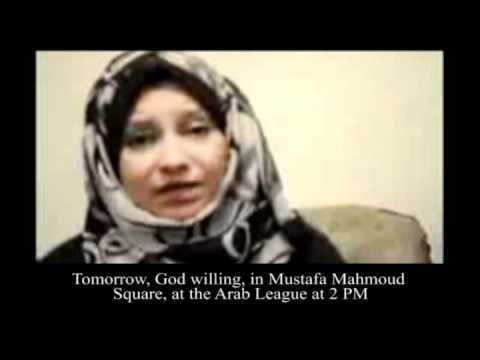 Take 26-year-old Asmaa Mahfouz for example, an Arab woman who made a vlog calling on others to demand their human rights and disapprove the current political regime. This was undeniably a precarious move for any woman in an Arab nation. The video went viral on YouTube and social media, sparking mass protest in Cairo and making her a symbol of the Arab Spring. In Arab cultures, women’s voices are often silenced, so women like Mahfouz are increasingly harnessing the power of social media and taking to these platforms in order to be heard. Newsom and Lengel (2012) suggest that their voices resonate as very powerful in the online environment because of this. With a global reach, no filter and no cost to participate, the power of social networks in these situations is undoubtedly clear. Twitter and Facebook can be effectively used to voice opinions and organise protest, while YouTube has the ability to capture, share and expose. 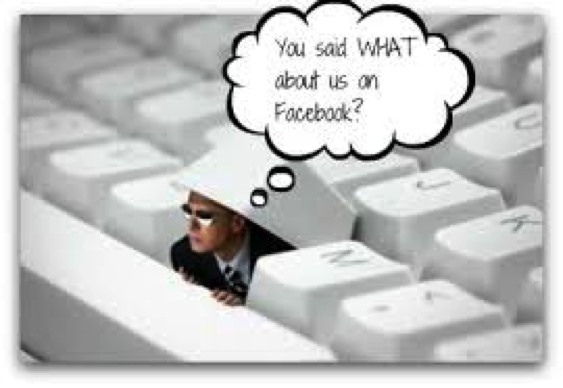 Social media are indisputably tools contributing to social change, however, behind the keyboards and screen names also lay brave activists and many scrupulous long-term efforts to engage with political institutions (Morosov 2012). Cohesively, these are ultimately the driving and essential elements behind the Arab Spring’s political revolutions. Women in Sport: Where are They?